Oftentimes, the most memorable thing about a narrative won?t be the heroes, or what they accomplished in the face of impossible odds. It?ll be the folks they were fighting against ? the villains. There?s just something about most antagonists that make them infinitely more interesting than the heroes they do battle with. As a result, many of us pay much more attention to the antagonists than the protagonists ? particularly in titles where the protagonist is little more than an extension of the player. Not all antagonists are powerful, skilled, intelligent, or even particularly dangerous. That?s a given ? no two villains are created equal. Some villains stand a cut above the rest ? they?re the most intelligent, the most powerful; the most terrifyingly sadistic, cold-hearted, malicious foes you?re likely to encounter. They represent a real threat to the livelihood of the protagonists, and probably the whole world. The villains on this list don?t hail from that camp. They?re just the opposite: whether affably evil to the point of friendliness, dumber than rocks, or simply weaker than a newborn kitten, something about each of these villains falls far short of the mark, and they end up being more of a joke than a genuine threat. Benny, at first glance, appears to be the primary antagonist in the game ? he is, after all, the one who ambushes the Courier and shoots them in the face in the game?s opening cutscene. Of course, as he does so, he apologizes for it- which makes everything okay, right? As it turns out, Benny was one of the ruling families of New Vegas, serving directly under Mister House (the city?s master). He essentially lived like a king ? which, given that the world of New Vegas is a post-apocalyptic one, is a pretty damned impressive accomplishment. Of course, like a bratty toddler, the power he?s been given isn?t anywhere near enough ? he wants more. As a result, he ends up stealing the Platinum Chip ? the power of which he doesn?t even fully understand ? from the courier, blatantly violating his family?s traditions. It gets worse ? if your character is female, you have the opportunity to seduce him later in the game ? because obviously, the first thing any woman wants to do when finding a man who shot her face off is jump into bed with him. It?s positively baffling that he ends up falling for it; almost as confusing as his agreement to go to Caesar?s Legion for protection from the courier. To be honest, you could raise a whole laundry list of complaints about the criminal organizations in the pokemon universe ? the fact that the police there are about as useful as Team Rocket, though it was taken down by a ten year old, at least had the saving grace of being a believable criminal organization with a leader who was a genuine threat ? partially because he was the most powerful gym leader in Kanto. The same cannot be said of Team Aqua and Magma. I cannot, for the life of me, discern the reasoning behind each team?s respective goals ? the former wanted to expand the sea by awakening a destructive legendary pokemon, and the latter wanted to expand the land by awakening a different legendary pokemon. Of course, beyond awakening them, they neglected to plan out how to control them, and ended up nearly bringing about an apocalypse. The two leaders quickly set aside their differences, and turned to a ten year old kid to clean up the mess they made. Team Galactic might have been more absurd, and a touch more idiotic, but at least they actually appeared somewhat competent. It was a tough choice between Azmodan and Belial (the Lord of Lies turned out to be a terrible, unconvincing liar), but eventually, I had to settle on this fat slob. Sadly, he appeared intimidating ? even terrifying ? at first. Unfortunately, that only lasted up to the point where you actually encountered him. From there, it all kind of went straight downhill. His military tactics were a joke(?military genius? of hell, indeed); made all the worse by the fact that he decided to give a play-by-play of his every plan and action to the Nephilem ? who by this point had already slaughtered enough demons to populate a small country. I get that he was supposed to be the Lord of Sin, and embody pride in some fashion, but?being prideful doesn?t mean he should be dumb as a post, to boot. Dedede is the selfish, gluttonous, self-proclaimed ?king? of Dreamland ? though it?s never entirely clear how much of Dreamland he rules over, who actually serves him, or what he actually does as king. As near as anyone can tell; he kind of just sits around being a fat penguin, occasionally smacking things with his hammer for good measure. As a villain, he actually turns out to be pretty ineffectual, and later games in the series actually have him fighting at Kirby?s side against the real villains ? one of whom is the nightmarish creature known only as Dark Matter. That thing?s bloody terrifying. Dedede is not. 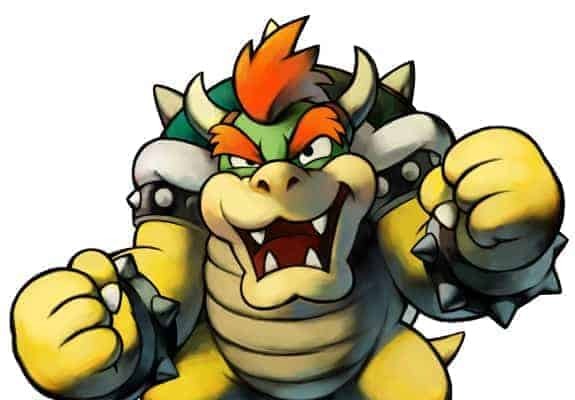 I suspect Bowser has a deep-seated, crippling fear of success lurking somewhere in his subconscious. It?s the only way to explain his behavior throughout the Mario series; his insistence on involving Mario and his brother in every last one his schemes. Though he might be one of the most memorable, easily recognizable villains ever made, he?s also one of the least competent: his obsession with Princess Peach ? and, by proxy, Mario ? has resulted in crushing defeat after crushing defeat. His tendency to kidnap the princess borders on stalker-ish obsession, and more often than not his decision to steal her away at the apex of his accomplishments is the sole reason his plans fail. After several decades of back and forth between him and Mario, you?d think he?d realize the obvious: involving the red-hatted plumber in any way, shape, or form is the surest way to screw over whatever it is you?re trying to accomplish. Instead, he meets regularly with Mario for go kart racing and tennis. It?s confusing to me how Eggman manages to keep threatening the world. It?s certainly true that he?s a brilliant scientist and an admirably skilled engineer?but those are just about his only redeeming features. In spite of his incredibly high IQ, Eggman suffers from a terrible case of megalomania, and often behaves more like a two year old than a grown man. Most of his robots are either mindless drones or AIs that end up rebelling against him in the long run, and almost every weapon he?s ever designed features an entire host of crippling, positively baffling design flaws. I?m still not certain what motivated King K. Rool to direct his Kremling Krew to steal a hoard of bananas. An eating disorder, perhaps? An unhealthy obsession with fruit? A hatred of mammalian creatures? Some sort of deranged boredom? Whatever the cause, his sheer idiocy essentially resulted in the collapse of his entire kingdom ? on multiple occasions- at the hands of a small group of apes. Again, I?d like to stress that this was all for some bananas. Of course, K. Rool?s ?empire? wasn?t all that impressive to begin with. The only people who display more incompetence than the king are his followers. In this, K. Rool appears to be a textbook example of the Dunning-Kruger effect, punishing his minions for incompetence when he more or less possesses the polar opposite of intellect, himself. His baffling lack of tangible motivation coupled with his abject ignorance of his mistakes lands K. Rool the number two spot. You can?t be all that surprised to see that Wheatley took the number one spot- after all; incompetence is what he was literally designed for. No villain can match his level of sheer, wall-banging idiocy. He?s so stupid that logical contradictions ? which are supposed to immediately shut down any AI ? do not affect him; so ignorant that he can?t even design a simple puzzle. ?He?s not just a regular moron. He?s the product of the greatest minds of a generation working together with the express purpose of building the dumbest moron who ever lived. ?